Are you looking for the perfect gastronomic experience? Want to taste foods specific for each region or enjoy the ambiance of a luxury restaurant? Uniline offers you a rich selection of restaurants, inns, wineries and coffehouses to suit every taste and every wish you want. Croatia has a cuisine that is specific for every region, depending on geography, culture and history, so each region in Croatia has its own, unique cuisine. Explore the Croatia cuisine through visits restaurants or traditional inns that will impress you with its unified style and homely atmosphere . 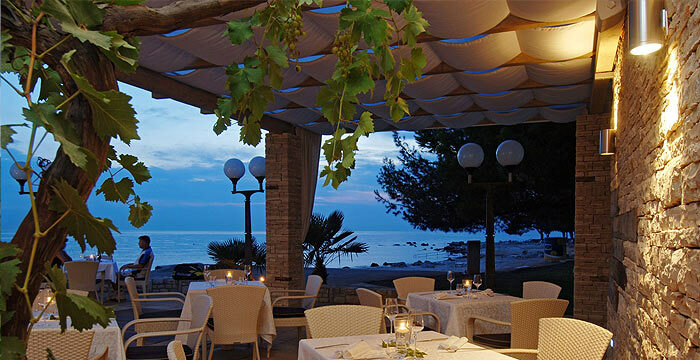 From restaurants in Istria, where you can enjoy seafood specialties and continental cuisine, i.e fish and meat, to Dalmatia, where you can enjoy a variety of fish foods. Enjoy a glass of excellent wine in Croatian wineries, or relax in one of the city´ s numerous caffes and enjoy a special moment in Croatia.